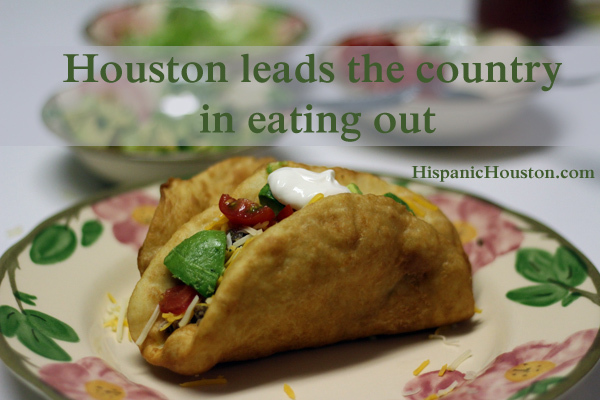 Houstonians still eat out more than any other city in the country. According to the latest Zagat “The Best of Houston” poll, Houstonians eat out 4.8 times per week (for lunch and dinner). This is more than the 4.5 times a week that’s the national average. The good news is that we spend less than the national average. We spend $36.40 in Houston per person for dinner out versus the $39.40 national average. This may be because prices in Houston are lower (says me) or because we just order less (which isn’t possible because in Texas we just do everything bigger, even meals). However, we’re not the best tippers, and this did surprise me. Houstonians tip an average of 18.4% versus the national average of 18.4%. Let me take this moment to encourage all of you to tip better. I never worked in the service industry, but a lot of my friends did. It’s hard work, and they deserve better tips. Personally, I eat out more than the average Houstonian. From tacos and kolaches to gyros and tikka masala, Houston offers a great variety of food and I take advantage of the great offerings. I’m glad to say that (generally) I tip more. And, unfortunately, I often spend more. But I do enjoy myself while I’m doing it.